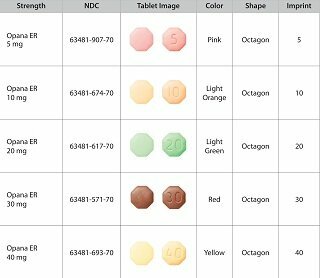 Home Health Bufferin, Excedrin, NoDoz, Gas-X Recalled. When will they be back? US Consumers are asked to either destroy or return unused product identified in the recall to Novartis Consumer Health Inc.
A one-time charge currently estimated at USD 120 million related to the recall and improvement efforts will be taken in the fourth quarter of 2011 by Novartis Consumer Health Inc.
Basel, January 8, 2012 – Novartis Consumer Health Inc. (NCH) informed customers, that it is voluntarily recalling all lots of select bottle packaging configurations from retailers of Excedrin® and NoDoz® products with expiry dates of December 20, 2014 or earlier as well as Bufferin® and Gas-X Prevention® products with expiry dates of December 20, 2013 or earlier, in the United States. NCH is taking this action as a precautionary measure, because the products may contain stray tablets, capsules, or caplets from other Novartis products, or contain broken or chipped tablets. Information on the affected bottle sizes, and related expiry dates will be available at www.novartisOTC.com as of January 9, 2012. This precautionary recall follows the recent voluntary suspension of operations and shipments from Novartis Consumer Health Inc’s Lincoln, NE facility. These actions were taken to accelerate maintenance and other improvement activities at the site. There have been no related adverse event reports received as a result of these issues. The established safety profile for each of these products remains consistent. Mixing of different products in the same bottle could result in consumers taking the incorrect product and receiving a higher or lower strength than intended or receiving an unintended ingredient. This could potentially result in overdose, interaction with other medications a consumer may be taking, or an allergic reaction if the consumer is allergic to the unintended ingredient. NCH is not aware of adverse events reported with the issues leading to the recall. This recall is being conducted with the knowledge of the U.S. Food and Drug Administration (FDA) and Novartis Consumer Health will continue to work closely with the agency as well as its customers throughout this process. NCH is recalling these products as a precaution due to an internal product review and complaints that identified issues such as broken gelcaps, chipped tablets and inconsistent bottle packaging line clearance practices, where a potential for a tablet mix up could not be ruled out. NCH plans to gradually resume operations at its Lincoln, NE site following implementation of planned improvements and in agreement with the FDA. The Novartis Consumer Health Inc. Lincoln, NE facility produces a variety of products mainly for the US market with annual sales value of less than 2% of Novartis Group sales. At this stage, it is not possible to determine when the plant will resume full operations and the full financial impact of these events. NCH will take a one-time charge currently estimated at USD 120 million in the fourth quarter of 2011, relating to the recalls and improvement work at the Lincoln, NE facility. Packages of each of the brands may contain tablets, caplets, or capsules of other products. Some of the pills may be broken or chipped. All Bufferin products with expiration dates of Dec. 20, 2013, or earlier have been recalled. Brand names include Bufferin Extra Strength Tablets, Bufferin Low Dose Tablets, and Bufferin Regular Strength Tablets. All Gas-X Prevention products with expiration dates of Dec. 20, 2013, or earlier have been recalled. The recalled products were distributed throughout the United States, but not internationally. There have been no reports of illness or injury from the products. Which Endo Pharmaceutical products were affected? Endo says it has received only three complaints of pill mix-ups. All three were caught by pharmacists before the drugs were given to patients. Endo officials were not mentioned in the June/July 2011 FDA inspection report. Late last year, Novartis suspended operations at the plant “to accelerate maintenance and other improvement activities at the site,” according to a company news release. It’s not yet clear whether there will be shortages of any of the recalled over-the-counter drugs. But Endo says it expects to see shortages of some of its opiate pain medications. Fortunately, the FDA says alternative versions of each medication are still available. The following Endo Pharmaceutical products may have been affected by the packaging problem. The FDA is asking people who take prescription pain medications to take a closer look at their pills before swallowing them. FDA officials say the likelihood of finding the wrong tablet in a prescription pain medication is low. In most cases, any potential pill mix-up would first be detected by a pharmacist. Novartis Group is fully committed to ensure the quality, safety and integrity of its products. All Novartis Group companies have a clear commitment to patients and Health Authorities to ensure high quality standards for all our products and services. Novartis Group stands behind the safety and efficacy of its products, and is fully committed to maintaining high quality standards at all production sites in the US and around the world. All Novartis Group products are subjected to strict manufacturing, testing and monitoring standards. Where they fall outside the standards, Novartis Group companies take actions to correct the issue and may recall products as a precaution. Consumers and customers in the US who have questions can call the Consumer Relationship Center at 1-888-477-2403 (available Monday-Friday 9 a.m. to 8 p.m. Eastern Time). For more detailed information regarding the product, potential drug reactions, impacted configurations, related NDC numbers and expiry dates, please visit our website starting January 9, 2012 at www.novartisOTC.com. The foregoing release contains forward-looking statements that can be identified by terminology such as “potential,” “will,” “committed,” “commitment,” “plans,” or similar expressions, or by express or implied discussions regarding the potential length of the shutdown of our Lincoln, NE production facility, regarding the potential for any further regulatory actions at the Lincoln, NE production facility, regarding the potential for any further quality issues arising at any additional Novartis manufacturing facilities, or regarding the potential financial impact of the Lincoln, NE facility shutdown. You should not place undue reliance on these statements. Such forward-looking statements reflect the current views of management regarding future events, and involve known and unknown risks, uncertainties and other factors that may cause actual results to be materially different from any future results, performance or achievements expressed or implied by such statements. There can be no guarantee that our Lincoln, NE production facility will reopen at any particular time. Nor can there be any guarantee that actions described in this release will be the only regulatory actions required at the Lincoln, NE facility. Neither can there be any guarantee that further quality issues will not arise at any additional Novartis Group manufacturing facilities. Nor can there be any guarantee as to the potential financial impact on Novartis resulting from the shutdown of the Lincoln, NE production facility. In particular, management’s expectations could be affected by, among other things, unexpected regulatory actions or delays or government regulation generally; unexpected manufacturing issues, including unexpected inabilities to satisfy regulators’ requirements for the reopening of the Lincoln, NE production facility; competition in general; government, industry and general public pricing pressures; the impact that the foregoing factors could have on the values attributed to the Novartis Group’s assets and liabilities as recorded in the Group’s consolidated balance sheet, and other risks and factors referred to in Novartis AG’s current Form 20-F on file with the US Securities and Exchange Commission. Should one or more of these risks or uncertainties materialize, or should underlying assumptions prove incorrect, actual results may vary materially from those anticipated, believed, estimated or expected. Novartis is providing the information in this press release as of this date and does not undertake any obligation to update any forward-looking statements contained in this press release as a result of new information, future events or otherwise. Novartis Group provides innovative healthcare solutions that address the evolving needs of patients and societies. Headquartered in Basel, Switzerland, Novartis offers a diversified portfolio to best meet these needs: innovative medicines, eye care, cost-saving generic pharmaceuticals, preventive vaccines and diagnostic tools, over-the-counter and animal health products. Novartis is the only global company with leading positions in these areas. In 2010, the Group’s continuing operations achieved net sales of USD 50.6 billion, while approximately USD 9.1 billion (USD 8.1 billion excluding impairment and amortization charges) was invested in R&D throughout the Group. Novartis Group companies employ approximately 121,000 full-time-equivalent associates and operate in more than 140 countries around the world. For more information, please visit http://www.novartis.com.